Last week I packed my bags full of flats and sneakers (including this M.Gemi pair) and spent a week walking everywhere as we explored London. We took in some art (at both the Tate Modern and the British Museum), we experienced some neighborhood life (Notting Hill, Soho, Belgravia), we treated our tastebuds well (Chutney Mary and Amaya for example), and we did a few of the touristy things too (Buckingham Palace, Parliament, view from the Shard). I’m so glad I had these comfy sneakers to take me from place to place, because although my legs were tired and achy at the end of the day, my feet felt great! I’ve partnered with M.Gemi this month to share their newest May arrivals (I most recently bought this pair and can’t wait to wear them). Sharing more of my picks below, plus use this link to get $40 off your order! Great post! But the mgemi link is not working. Hi Jordan, sorry about that! Please try again – it should work now! Thank you!! Loving the sneakers for a more casual vibe. Nevermind – it is now. I really love M. Gemi’s, but they don’t ship internationally and it’s killing me! Love those sneaks! Your vacation sounded amazing. I love how you can make sneakers so stylish and cool. I love your style Anh! The sneakers look great! Could you please let me know the name of the color? Thanks. I had never thought of pairing a darker and lighter denim before but it looks great on you! Super sweet, comfy and stylish combo! I feel like you have an amazing collection of striped tees. Love this one! 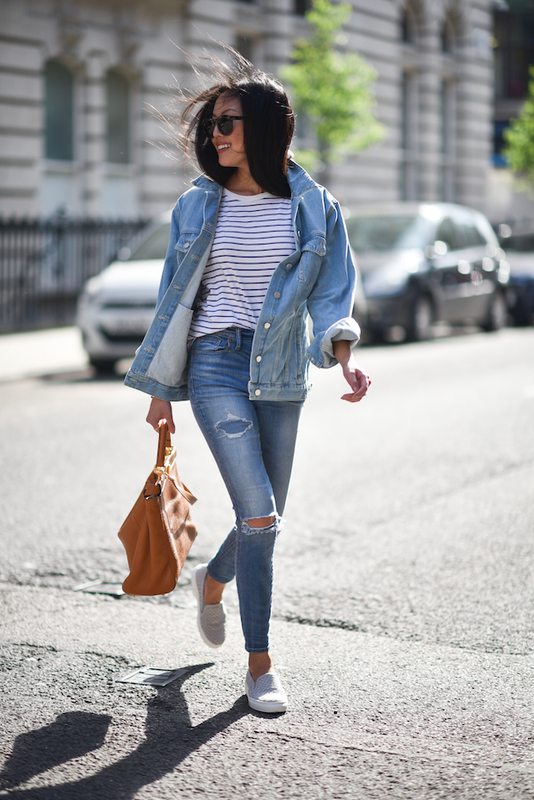 Love this double denim look so much! Love a little texture, dresses it up a bit! 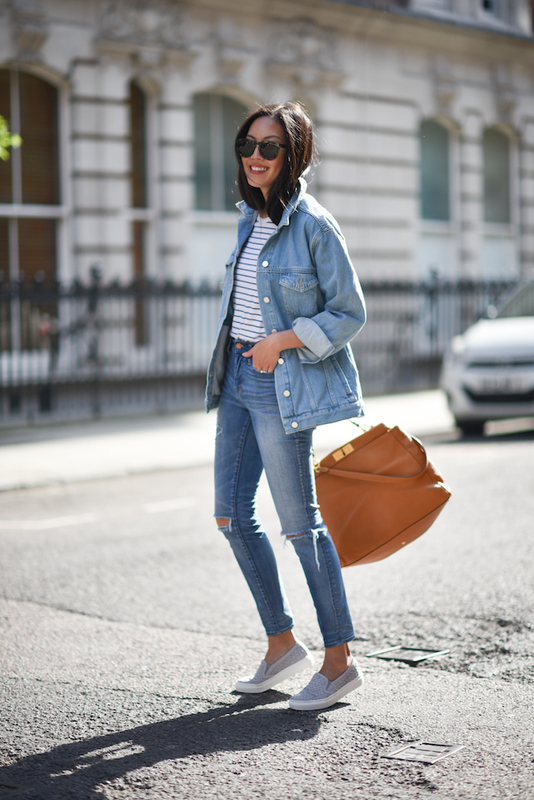 Love this denim heavy look and the textured sneakers! Love this denim look! It looks perfect on you! I’m a pants person. Love this. How long is the $40 off good for? What color are your sneakers? Dove? the $40 off on the sneaker still works?